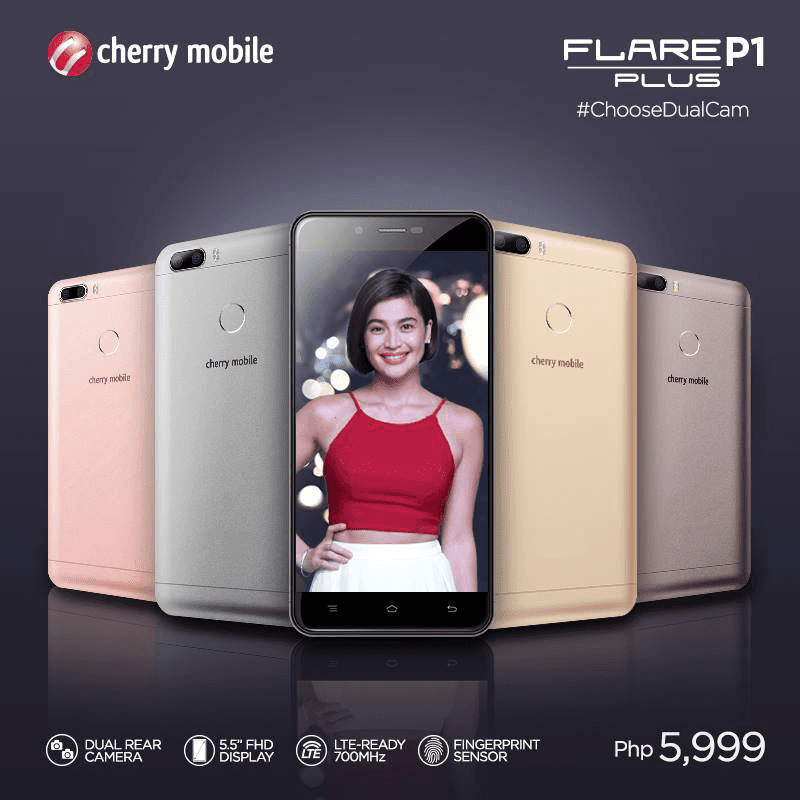 Cherry Mobile Flare P1 Plus Now In Stores! Home / cherry mobile / mobile / news / Cherry Mobile Flare P1 Plus Now In Stores! The wait is over! Cherry Mobile just announced that the Cherry Mobile Flare P1 Plus equipped with dual main cameras is now available in stores nationwide. Cherry Mobile Flare P1 Plus now available! As a quick recap, the Cherry Mobile Flare P1 Plus is one of the most affordable smartphone equipped with a dual camera setup. It boasts a 13 MP + 5 MP cameras that's designed to mimic what DSLR's can do, create shots with shallow depth of field or bokeh. The device is housed in a metal body, runs with 1.5 GHz 64 Bit MT6737T quad core processor, 2 GB RAM, 16 GB storage, and 3,000 mAh battery. It also has WiFi, LTE, fingerprint scanner behind, and Android 7.0 Nougat operating system. The Cherry Mobile Flare P1 Plus is priced at just PHP 5,990.